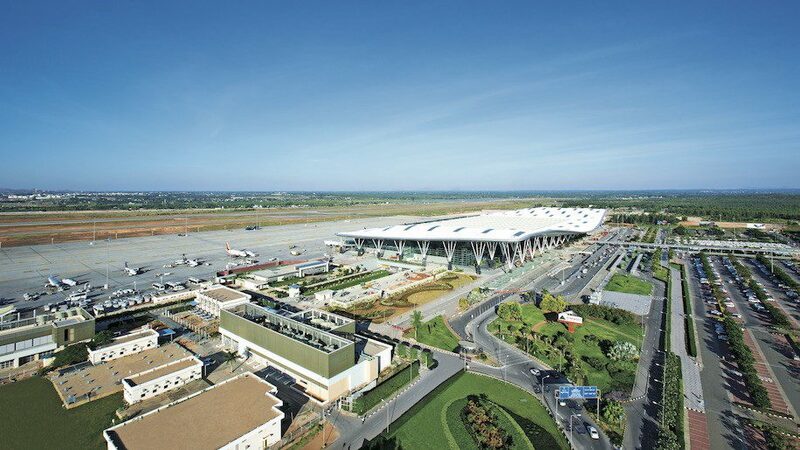 The Kempegowda International Airport here Thursday said it has become the first airport in the country to introduce fully automated self-bag drop system. Bengaluru International Airport (BLR) operator Bangalore International Airport Limited has recently installed 16 fully automated self bag drop machines which will help in enhancing baggage processing and minimizing check-in queues. Normally manual Self-bag dropping systems are already in installed at other Indian Airports, but BLR Airport is the first in the country to unveil fully automated baggage drop-off systems technology. They will allow passengers to check in their luggage as quick as 45 seconds. Designed and installed by Materna IPS, the Air.Go fully automated self-bag-drop machines would initially be available for passengers flying with Air Asia and Spice Jet. Bangalore International Airport Limited, COO, Javed Malik says: “Continuous improvement of passenger experience at the BLR Airport has always been a priority for us and the introduction of the new self bag drop is a testimony to that. The self bag drop employs a two-step approach. A passenger will first go and print a boarding pass and an eezee-tag (bag tag) at a self check-in kiosk desk. Once tagged, the passenger will go to the bag drop machine, scan the boarding pass to initiate the bag drop process. The bag will be measured, weighed, scanned and automatically fed into the baggage handling system. Probably 32 brand new self check-in kiosks will be installed to print boarding pass and baggage tags. In case of an excess baggage, the passenger will be forwarded to a hybrid counter to complete the check-in and payment. With its new facility in Bengaluru, Materna is forming a strong foothold for its activities in the Indian market and for providing intensive support for its customers here. 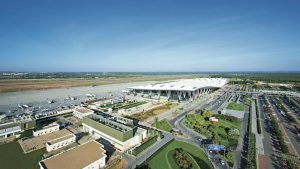 Materna India head Shibu Matthews ellaborates: “India’s airports are being confronted with growth of up to 25% right now and have expansion plans to match. However, above all, they have to make the best possible use of their existing infrastructure as extensions and new buildings take too long. The Air.Go series is an innovative self-service bag-drop system, which provide help and support to airports to automate their conventional check-in process. The self bag drop counters are fitted with scanners, which automatically check flight details and the weight and size of the baggage before it is fed into the baggage conveyor belt system. This flagship solution from Materna means the airport is also prepared to give check-in as a one-stop solution so boarding cards can be issued instantly or automatically and baggage can be dropped at one single kiosk. As a very modular and customisable solution with multiple options Air.Go meets all the requirements of an airport. Future technologies such as payment and biometrics can be integrated as well. The self bag drop system is based on the international common use self-service (CUSS) standard. After successful installations in Europe and North America, Materna Intelligent Passenger Solutions (ips) is now entering new markets in Asia with its flagship Air.Go product. In the course of their current and planned activities on the Indian market, Materna has founded a company in India. Since April, Materna Information & Communications India Pvt Ltd has had its headquarters in Bengaluru, the capital of the Indian state of Karnataka.